Just in when the Premier League is about to kick off today at 7.45pm BST (2.45pm ET). Sky has decided to give viewers a great experience. 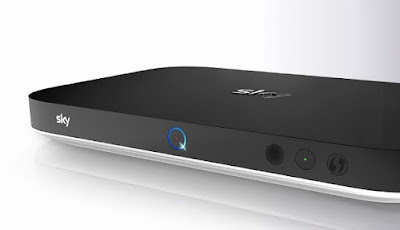 Now Sky Q 2TB box gets the Dolby Atmos support which gives 3D sound experience. Besides the Dolby Atmos support, Sky will also roll-out animated Ultra HD images for Sky Q 2TB box owners starting from August 14. The Premier League opening clash will be Arsenal vs Leicester. Last month, while announcing its own TV speaker system, called the Sky Soundbox available at £249 for Sky Q customers, the company also mentioned the adding of Dolby Atmos support for the new football season that will be available for all 124 Premier League matches. Dolby Atmos is a surround sound format which uses up to 64 speakers placed around a room including audio from above the listener’s head to create an all-enveloping, ‘3D; sound experience. So it enhances the experience of watching TV.